There are certain feelings you do not want to share, there are some feelings you want someone to understand, it’s never that late to express it and there is no early time to acknowledge it. like the roots give us strength to stand, like the sun gives us light to shine, our hairs gives us life to shine in light. IF YOU DO NOT UNDERSTAND WHATS GOING WITH A GIRL, LOOK AT HER HAIRS, IT WILL TELL YOU THE WHOLE STORY. Firmly we ladies are not that strong what we show for, we do cry when someone stares at us, we do feel afraid but we never want the outside to know our inside feelings. When competing with the world we always follows our heart yet we choose to restrict ourselves just because there are so much we cannot handle outside. Our signature marks are our dimples, smile and the cute face which is incomplete without our sleek. During my childhood when nobody would be home, my brother took me to his clinic, where patients were treated from cancer. The incidences and pain I felt while I saw there I began to be grateful for everything I had without even asking for it. I decided never to sympathise them or never to pity their sickness, because they were those most lovable child of god whom he made with the strength. Not everyone is able to fight with it. The painful part for a lady with cancer is when chemotherapy takes her hair, her tears, pain and swelling face are never enough to describe how much she has gone though, and if it is not enough people outside makes a complete sense to them when they say “it’s a suffering of previous birth’s karmas” they are pretty jealous of the strength these people show, because they know they are not capable enough of it. they had no hairs, but they were beautiful. their beauty was on those fallen hairs on the ground, i had no words to tell you how the feeling was, and I wish no body ever get through this, no one. health is wealth, and if you do not understand this? go to someone who needs it. That night when I came back home I stood in front of mirror and appreciated every bit of myself, I saw that it’s an incomplete sense without hairs, my brother who works as a doctor is more like a family to them because most of people suffering from cancer belong to villages or places where literary rate is really low. Many women were left by their husband; many parents left on roads by their children, there were so much to know about them. Spending time with them brought me closer to real life science where there was nothing to party about, any pubs or designer showrooms but there were real humans, real people and real friends, those whom I still keep my touch with. Their strength got them, stacked to them and brought them life, they brought light from the faith they understood from my brother, he is like an angel to all of them, and no doubt that every patient ever came to his clinic was sent back with a new power. Cancer is curable; any disease in the world is curable, only if we believe. Most people die because they do not want to live, rest make thought tough and become tough. These greater heroes writes new story of their playful strength. This way was the real journey to my long sleeks, I wash them regularly with equally love I provide to my cooking. It’s like a mother nurturing a child; we must play with life before it plays with us. There is so much to find and talk, while scrolling hairs. There is so much I and my hairs spend time. The wet hairs brings me close to my husband, I have so many memories with it. Silky straight sleeks brought me attention of my old friends and miss popular tag during college. There is so much I did with them. We do talk and understand, as if a best friend replies from there. Sometimes few things in life teach you big lessons, like a year ago when my life got little busy and there was no time to have time with them. They broke splatted and eventually brought my attention to them. Your hairs needs you, they want your attention, talk to them, play with them like a kid or else they will break, split and lose their shine just to bring back your attention to them, they are that naughty I tell you. Hairs gives us a way to find something playful, new hair style, hair colour and what not, trendy, funky, classy, there are so many tags to work with and yet nothing to hide for. Feeling stressed? Shake your hairs. It’s the simple three rules to work out with them, they are precious and un valuable. It’s really hard to say good bye to even one of them while the comb, yet I think their purpose was over and now they need another good one. I always treated my hairs as if they had souls and they are like us, and why not? They eat, take and grow, they are no one separate from us, they are among us, they are just the another you. My hairs were my best friend when I waited for another, a rope during fight with bro, my style signature while I was to represent myself. 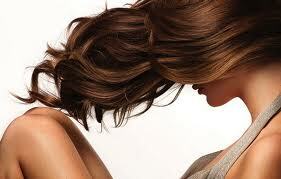 You cannot deny that you are known by how your hairs are and they are the way you treat them.